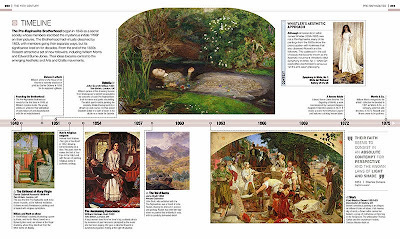 Art lovers and connoisseurs will absolutely love this detailed and fully illustrated book. It references back as far as possible and showcases the best, worst and otherwise. Art really suits each person differently as well all interpret art in our own way. I appreciate taking time reading each page and digging deep into the history of art, its many different forms and eras. My favorite artist is Salvador Dali. I wish he had been featured more in this book. The surrealism part of the book I enjoyed but felt it wasn't as large as the other genres, such as impressionism. It didn't hold back from making it a great book for reference and visual stimulation though, and that is what counts. If you have an interest in art o you already have a keen interest, you will enjoy this work of art.